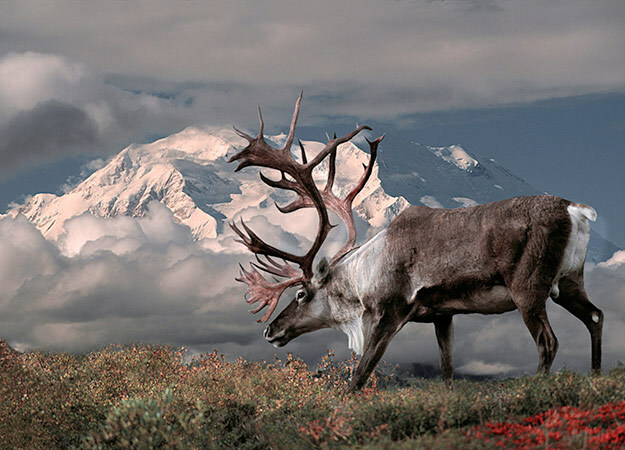 A caribou grazing in Denali National Park and Preserve. Alaska. As civilization encroaches more and more on the native wild creatures of North America, the best places to find them in their natural habitats dwindle. But there are still a few fantastic spots to experience the wonder of animals being animals with no interference from humans.